Our lodge ‘White House’ is the starting point for the trips of Elephant Special Tours and is located next to the Doi Inthanon National Park. 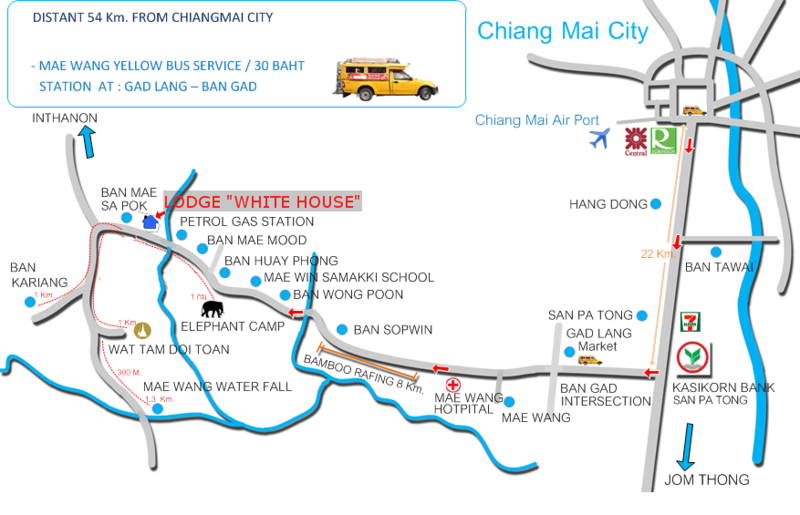 Travelling southward from Chiang Mai international airport it will take about one hour to get to the lodge. You should head towards Mae Hong Son on the 108 road passing Hang Dong. In San Patong, after 22 km, turn right onto the 1013 heading to Mae Wang/Ban Gad. From here you follow the road leading to Mae Wang. After passing the local hospital on the left side you will pass an eight kilometer long forest, after which you will pass the county’s main village of Mae Win. After passing through several other villages (e.g. 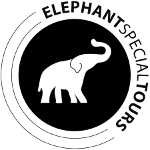 Ban Huay Phong) you will see an elephant camp on the left side of the road, which you also need to pass. In the following village of Mae Mood you will see a closed gas station at the right sight of the road. After another 800 meters you will reach the entrance to the village of Mae Sapok. The first house on the right side is your destination: At the entrance of the lodge ‘White House’ there are two visible flags, one Thai and one German.